Whether summer toboggan, gondola or pure downhill track it´s adventure pass for the whole family. Important: Please note that the summer tobogganing track does not operate when it rains! 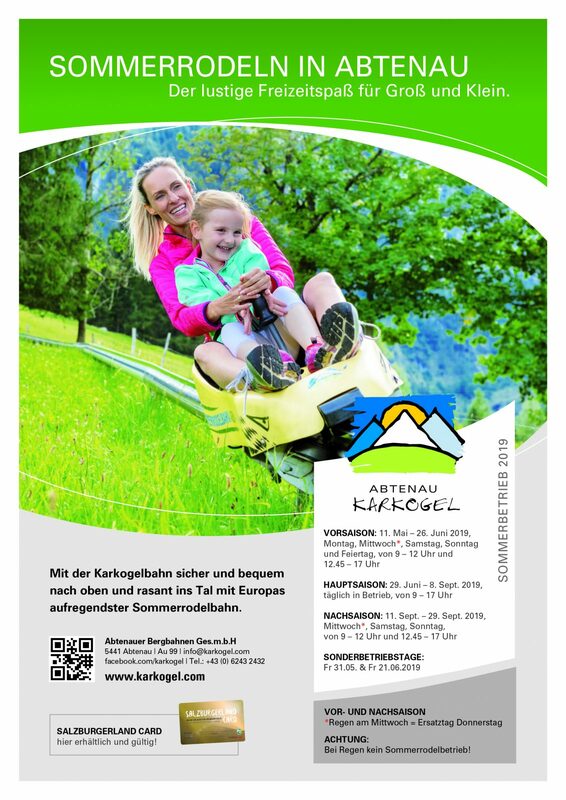 Here you can find the current prices of the summer tobogganing and the ascent and descent of the cable car Karkogel in Abtenau. 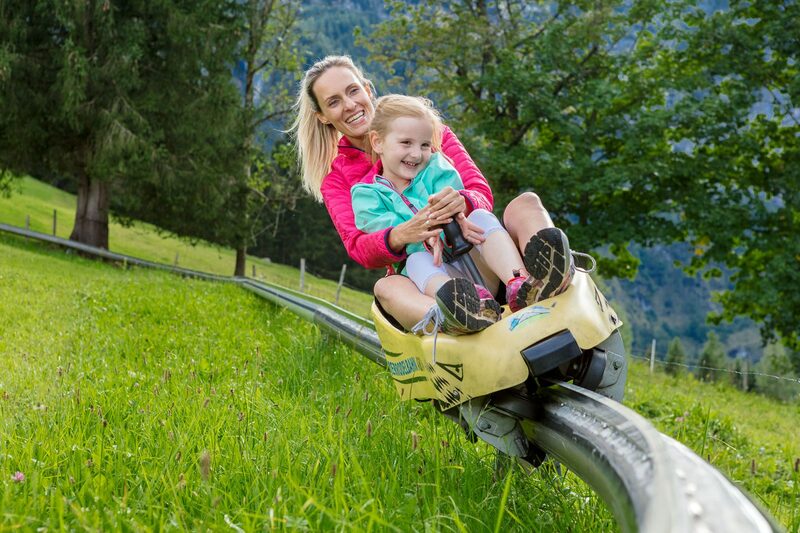 Fun for the whole family at special rates of the summer tobogganing and the ascent and descent of the cable car Karkogel in Abtenau. Here you can find the group rates of the summer tobogganing and the ascent and descent of the cable car Karkogel in Abtenau.